According to a recent Deloitte study on human capital, after surveying more than 11,000 business owners, that 77% rated “citizenship and social impact” as critical or essential. One of the most effective ways of improving a company's reputation as a socially responsible organization is through Skills-Based Volunteering as it addresses both social impact and positive company branding at the same time. Skills-Based Volunteering is about matching the right person with right skills to the right project. Based on a company’s program criteria, volunteers can choose to use their professional or personal or talents to work individually or in groups on project sizes and lengths in local to international organizations of their choosing. Skills-Based Volunteering creates a structure that focuses on the value of the volunteers time ensuring that it is used to create the most impact. Skills-Based Volunteer projects help provide professional expertise to nonprofits who might not be able to afford such services. For example, if any of your employees have strong financial management skills, they would be able to assist in planning events for the nonprofit that fit their strict budget. These volunteer programs can also be implemented in different models to fit the structure and strategy of the company. For example, a company can place employees on a team with set roles and responsibilities or designate approved or compensated leave of absence time to volunteer. There are many benefits to implementing a Skills-Based Volunteering program. Here are few examples. Gallup’s 2017 poll of Americans reported that 70% of workers aren’t engaged or actively disengaged. 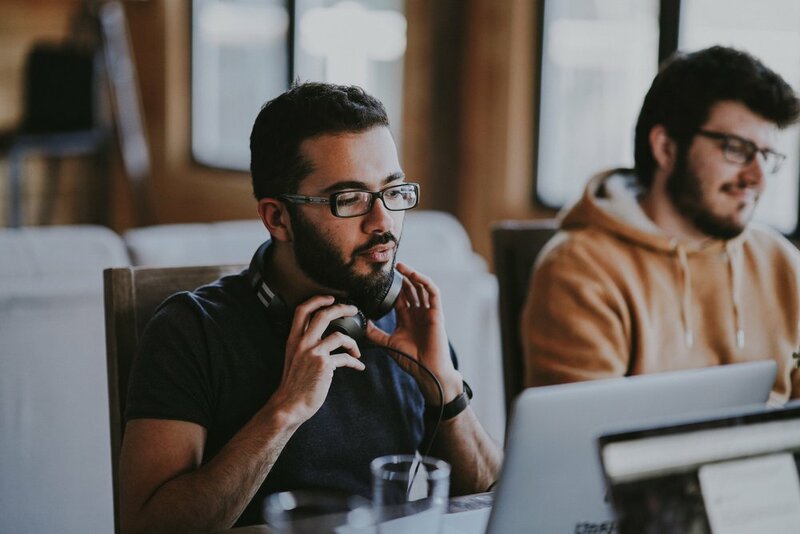 Many problems arise from low employee engagement including poor performance, low morale, and lack of initiative to help build the organization and its culture. However, the most glaring issue that arises from low engagement is employee turnover. And not only is turnover a perpetrator of low morale, it can also lead to significant financial losses. Losing a single employee earning $50,000 annually can cost a company from 20% to 49% of their annual salary due to ongoing training investments, according to the Bureau of Labor Statistics. It’s not all doom and gloom though. 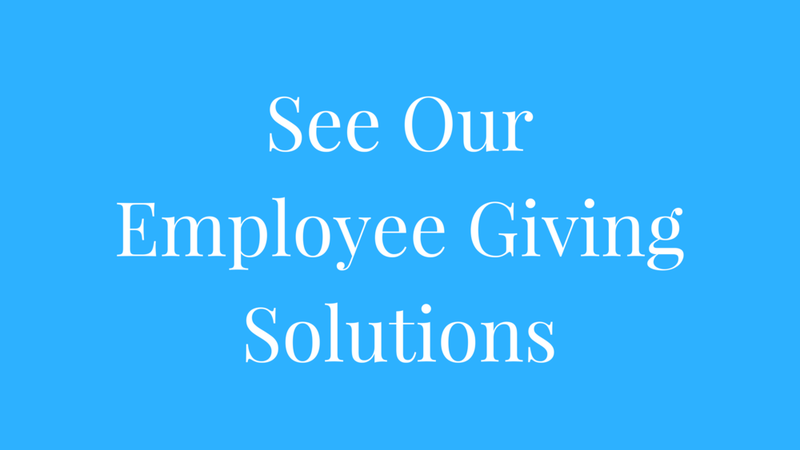 The rise of employee giving programs have not only benefited companies and their philanthropic impact, but it also strengthens employee engagement and fosters a healthy internal culture. they found that 94% of employees surveyed believed volunteerism was a positive element in their work lives, according to research conducted by True Impact. Skills-based volunteerism and strategic/effective/holistic corporate citizenship are gaining more attention to improve a company’s reputation as a socially responsible enterprise. Research shows that Skills-Based Volunteering enhances talent recruitment, especially among Millennials, who make up 35% of the workforce. By looking inward and fostering a healthy internal/corporate/organizational culture, employees will speak highly of where they work with their peers. Based on a 2014 study conducted by The University of Georgia, researchers found that employees who volunteered “gave more time and effort to their jobs, were more willing to help out their colleagues, talked more positively about their companies and were less likely to waste time on the job.” When employees are engaged, they provide one of the most impactful forms of brand storytelling: word of mouth. For employees, volunteering creates a creative change of pace in their daily work, and it also empowers them to build and develop their professional and personal skills. When their skills are applied to volunteering, they are having time real-world experiences and devoted to developing ‘hard skills’ (technical, development, strategy, etc.) and ‘soft skills’ (leadership, communication, etc.) that can also deliver increased value within the company. Skills-Based Volunteering enhances organizational leadership, communication, and decision-making skills that can create advancement opportunities for employees within the company as well. Financially (speaking), Skills-Based Volunteering presents some benefits here as well. Companies spend $1,798 per employee per hour when employees are away from their desks and in training. According to a 2014 survey conducted by the Association for Talent Development,. Skills-Based Volunteering leverages volunteering hours as an opportunity to support professional development outside of an employee's regular duties. SmartSimple’s Employee Giving platform is an all-in-one solution that simplifies every step of your company’s unique Skills-Based Volunteering program. Drive employee engagement and ease time-consuming logistics in every facet of your employee volunteer initiatives with automated communications. Create intuitive and personalized portals for all your employees and program administrators with robust track and reporting tools to confidently give you a 360° view of your volunteer programs hours and community impact. Learn more about the SmartSimple platform by contacting us today.